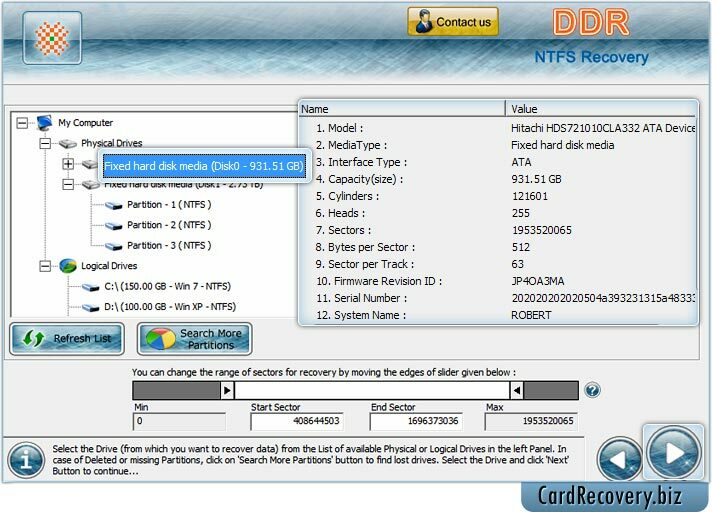 Select “fixed hard disk media” and details of disk is shown at right side such as Model, Media Type, Interface Type, Capacity etc. 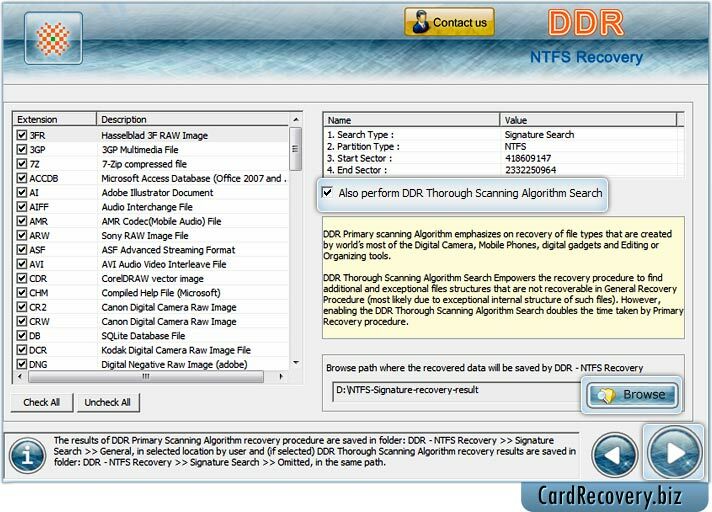 Check “Also perform DDR Thorough Scanning Algorithm Search” to perform disk scanning using general recovery procedure and click on “Browse” button to select location where you want to save recovered data. 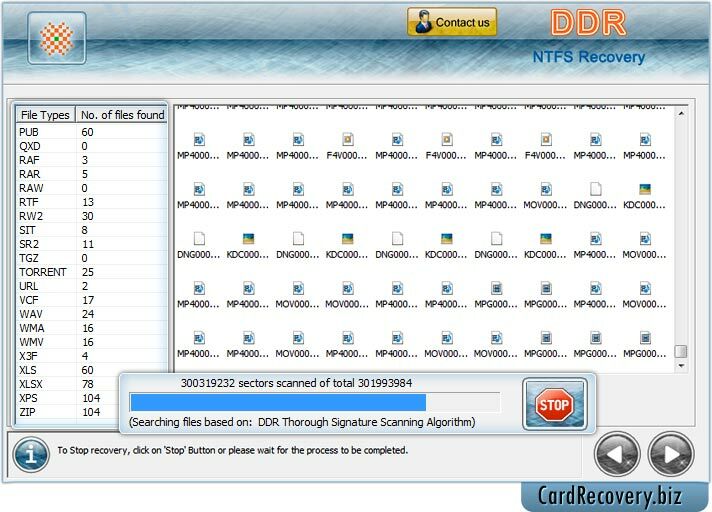 Perform disk scanning using DDR Thorough Scanning Algorithm to search lost files of different extensions.